Tony Barnes, Owner of Graft Haus Gym, Leeds. 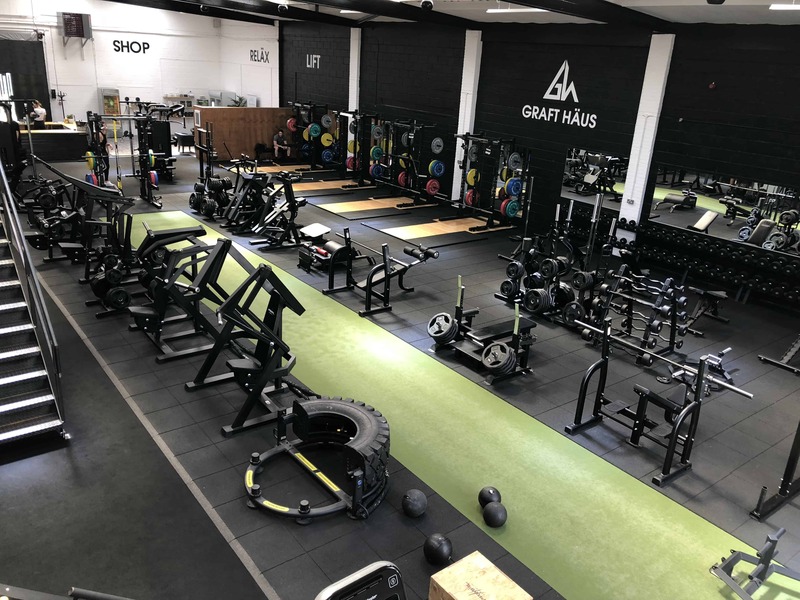 In the latest instalment of our on going ‘tell me about your job’ feature, I met with Tony Barnes, the owner of Graft Haus gym in Leeds. GH: Tony, what was it that made you want to open a gym? TB:My partner and I, Charlene, were in marketing. I’d been in marketing for about thirteen and a-half years, Charlene about four. We went on holiday and were in an open-air gym in Thailand. We both love training and I was in to my bodybuilding competing and wondered how do we make this our life? How do we get from behind a desk and become part of the fitness industry? We considered it and decided we needed to get more exposure to a gym environment. We sorted out our personal training qualifications and became PT’s with a view to opening a gym with a five-year time frame. 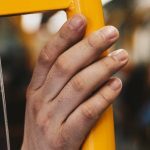 However we soon found that as self-employed personal trainers we were massively at the whim of the management of the gym and itstruck us that something wasn’t right, so the plan accelerated into a two-year plan! GH: How long has the gym been open? TB: We’ve been open about eight and a-half months now. It is around eighteen months since the holiday where we decided that we were going to open our own gym. GH: So what does a typical day look like as a gym owner? TB:Well it depends on the day. I still have PT clients who I look after, mostly in the morning. I’m usually up around 5am; I get to the gym, put a coffee on and make sure everything is ready for the sessions. I’ll then PT for a few hours in the morning and cover the receptionist’s break. Once that’s done, I’ll either stay in here [the gym] and work in the office, or I’ll head home and work from there. We’ve got the office mirrored at home so I sometimes work from there; simply because being in the gym can be a distraction and just destroys productivity. My partner also still works as a PT, but her clients tend to be evening-based. We try to get some ‘sanity time’ together in the middle of the day, and then usually head back to the gym. We’re almost always there for at least the last hour before closing. GH: At this point of the journey have you reached a stage where you can employ staff to lighten your workload? TB: We’re getting there. After 3-4 weeks we brought in a receptionist. At that point I was doing around 110 hours per week and Charlene was around the 80-90 mark. To say it wasn’t good for health is an understatement! We realised that was untenable, so we got in another receptionist ahead of schedule. The goal is to get to a point where there’s a suitable contingent of staff! We’re working on a balance with our PT hours – at first we needed them to help our income streams, but now it’s getting to a point where we need to focus more on the general business. It’s coming quicker than we thought! GH: So at this point do you see yourself as a PT who owns a business, or a businessman who happens to need to PT for the short term? I’d say we’re business owners who still enjoy personal training, but who also needto personal train in order to keep our revenue streams high enough. At this point we look back on our PT days fondly – we had plenty of free time, we could cook food we liked, we went on daily walks! It was pretty cushy! GH: Have you learned anything along the way you didn’t expect? TB:Not really. Our backgrounds in marketing were in a small company, so we got to see and manage at all levels. I was aware of much of the legislation in business, accounting, health and safety, cash flow etc. I guess what we’ve been least prepared for is how to increase our visibility, which is a bit of surprise given we’ve got a few gyms around us. We’ve had members from three local gyms move across and in time they’ve brought friends with them. Our offering is a little bit more personal than the bigger gyms and our workout structure is a lot less formal than the CrossFit model, where everyone follows the same workout. GH: So you operate as a ‘Rolls Royce’ commercial facility, where people are left to do their own thing but in a great environment? TB: That’s right. We have a lot of members who learned ‘how’ to train elsewhere, but come here because our gym environment is much nicer and less structured than where they were before. GH: How does someone replicate what you’ve done? TB:Plan – A LOT! You’re going to requiring a large chunk of capital, probably from different sources based on the kind of model and scale you’re going for. Being in Leeds, we were looking for a good-sized membership rather than a massive membership. We want to build a business for our future. It was very much a case of ‘go big or go home’ right from the start. We didn’t have the option of a small, half-kitted out gym. The commercial options may be unpleasant, but they’ve got lots of kit. To go against that without kit would have been suicide. Expect to spend a lot of money, expect to do a lot of forecasting for start up loan companies and do your homework on the equipment you want and the locality. A lot of the work we did was on the stylising the building and picking kit to fit with that look. Over my career I’ve been in literally hundreds of gyms. I’ve seen everything from tiny home gyms through to elite level strength and performance facilities, but I’ve never seen a commercial facility that comes close to Graft Haus. The design, attention to detail, equipment choices etc all make it an absolutely outstanding gym. If you are in the Leeds area, you’d be crazy not to join – it really is that good! 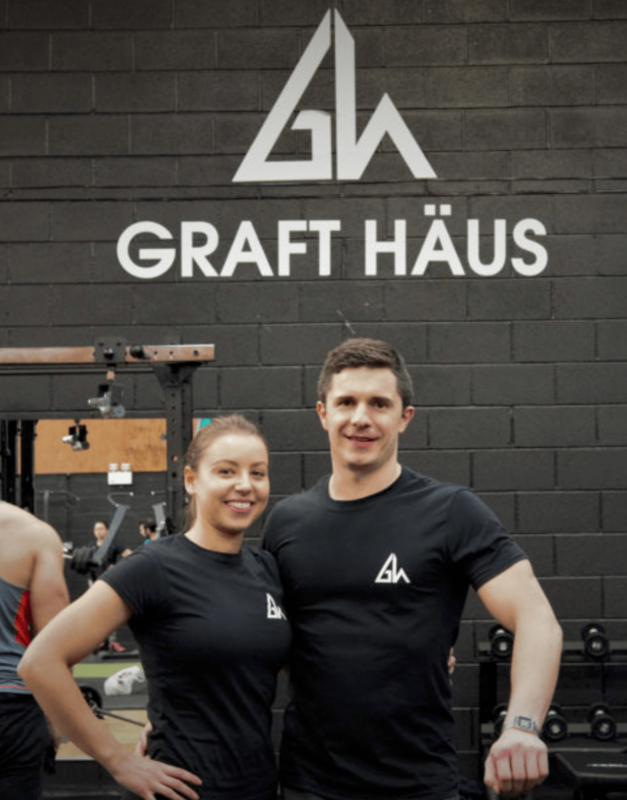 If you’d like to know more about Graft Haus gym in Leeds, check out their website at www.grafthaus.co.uk.